The white grape (also Geilweilerhof 33-13-113) is a new breed between ( Sylvaner x Riesling x Müller-Thurgau published according to 2012 DNA analysis, The crossing took place in 1930 by the breeder Peter Morio (1887-1960) at the Institute of Vine Breeding Geilweilerhof in Siebeldingen-Palatinate. The variety protection was granted in 1971. Incidentally, the same parent is also the variety Bacchus emerged. 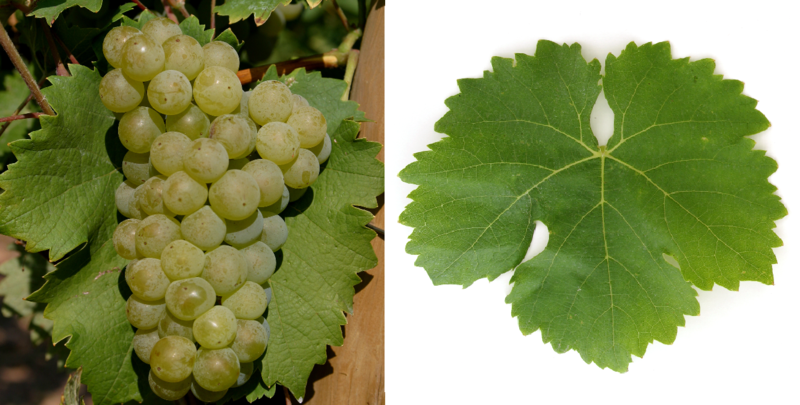 Optima was a crossing partner in the new breed Orion The very early ripening vine is resistant to falsification mildew but sensitive to frost and prone to Botrytis, It produces yellow-green, low-acid wines with a Riesling-like aroma. In 2010, the variety occupied in Germany 59 hectares of vineyards, the tendency is sharply falling. Small stocks are also available in Austria. England (2 ha) and Canada (6 ha). This page was last modified at 7 April 2019 at 19:50.